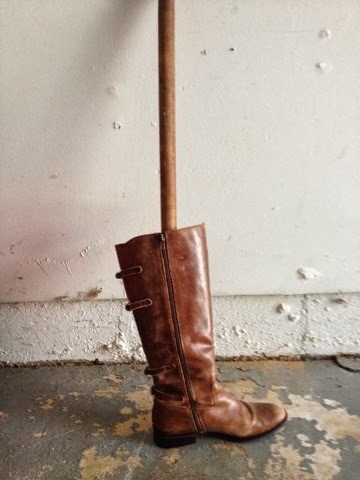 It's fall and that means it's boot weather. 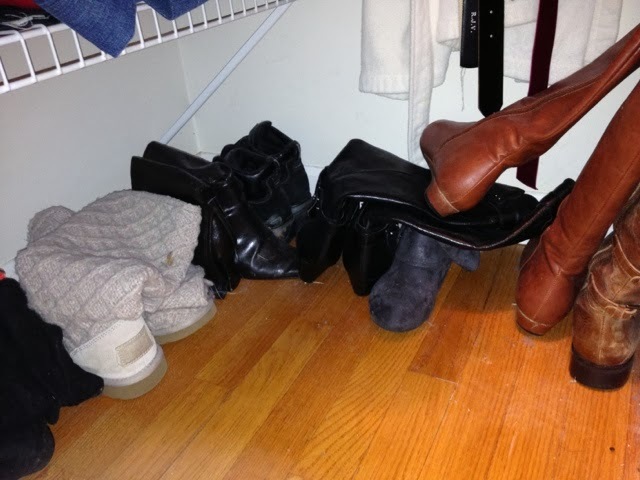 I must have acquired about five new pairs of boots last year and already they're spilling all over the floor of my tiny closet (you know the one that's about to get even smaller due to our master bathroom renovations). 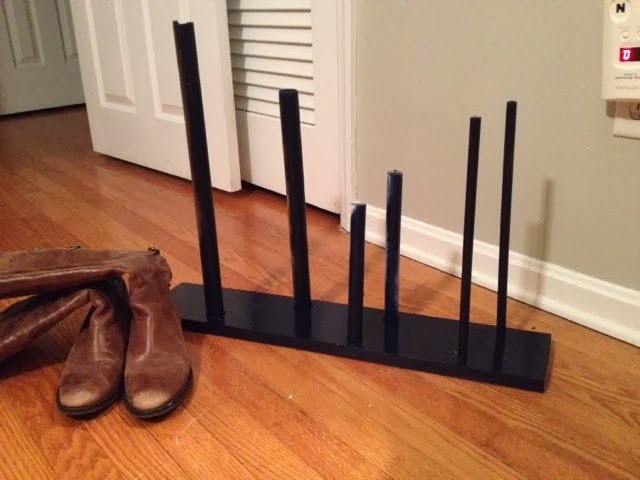 Anyway...this boot debacle calls for some organization in the way of a DIY boot rack. 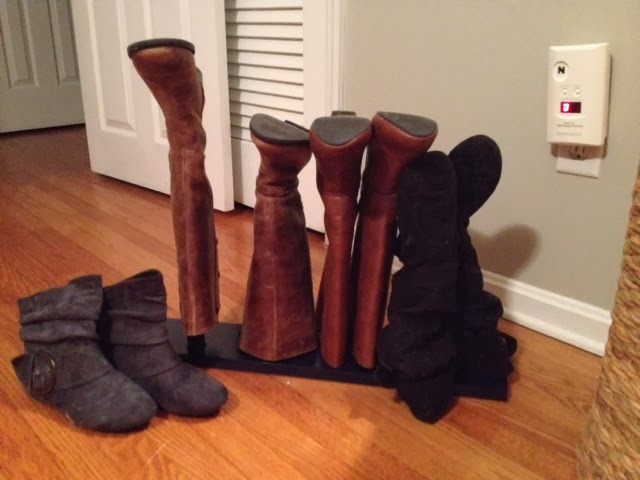 Boot racks or boot stands sell on the cheaper end at stores like Target for about $25. Martha Stewart's version goes for upwards of $99 (are you kiddin' me?!). This baby, my friends, cost me just a few dollars and about 15 minutes. It was seriously the easiest and fastest project I've done in awhile....meaning like I squeezed it between two blog posts, lunch, and folding clothes during one nap time! 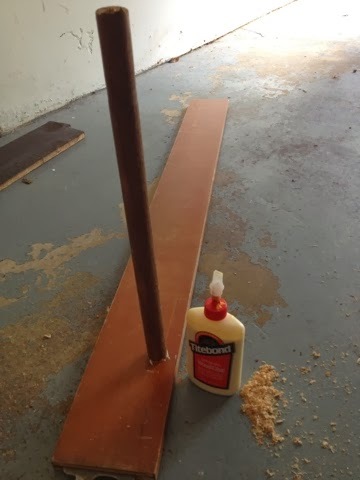 I already had everything on hand, but if you don't just pick up some lumber for the base (a 1x6 would be perfect) and a large diameter dowels. 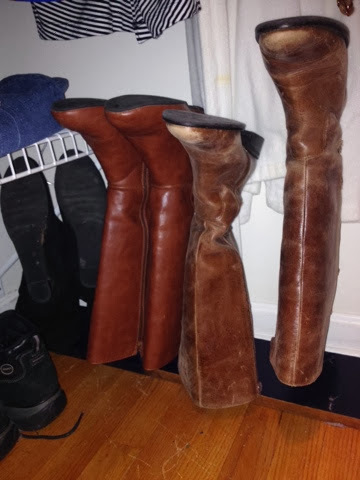 Mine were all different sizes, because like I said, I just scrounged up what I could find lying around the basement and the garage. I used my paddle bits - pick the one that it closest in size to the dowel - to drill a hole in the wood. 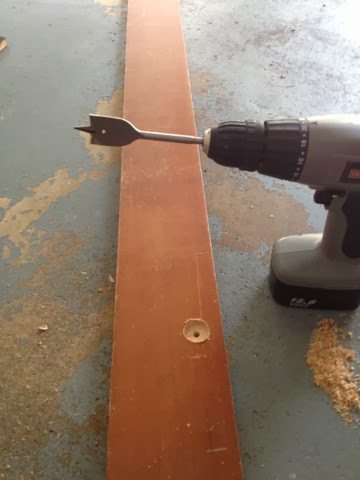 Don't let the full paddle go all the way through - but you do want the little pointy end to make a small hole in the bottom side of the base. Now, measure how long the dowel needs to be up against your boots. 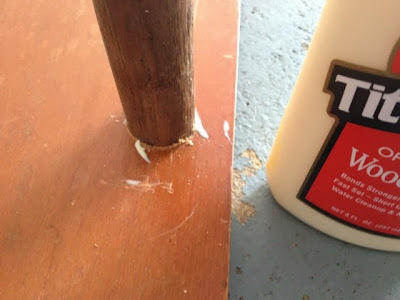 Cut the dowel down to size. Put a little wood glue in the circular cut out you made and put the dowel in. Let it set for a minute or two before carefully turning the base onto it's side. 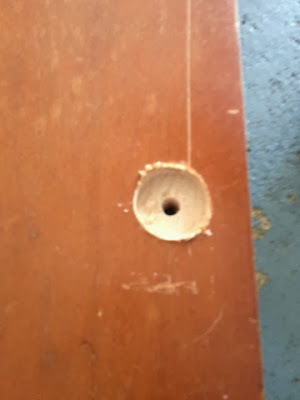 Now use a screw threw the small hole in the bottom to screw into the bottom of the dowel. 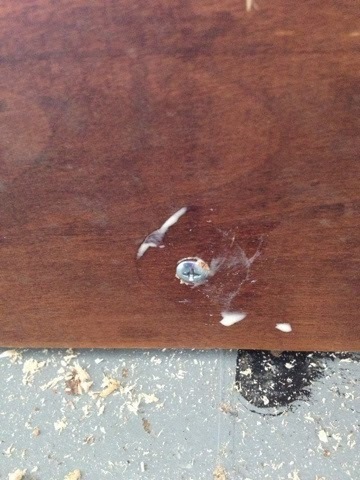 This will ensure the dowel stays in place. 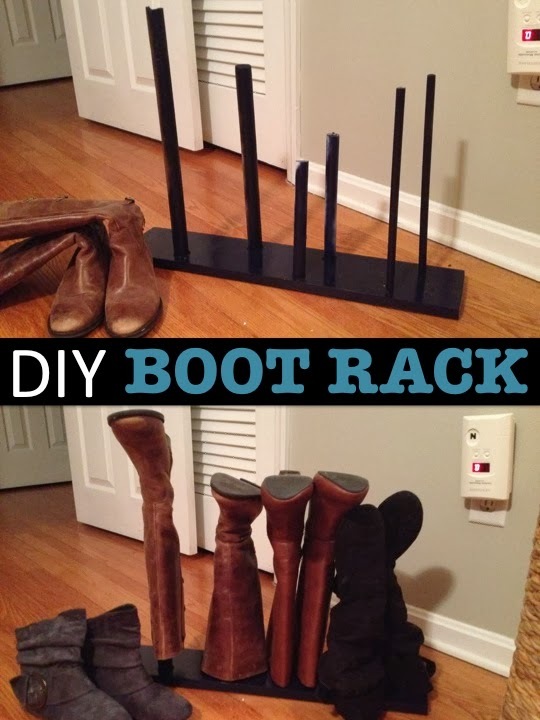 Repeat as many times as necessary to get all your boots organized! See, I told you this DIY boot rack was a thing even beginners could tackle with no problem! Repeat...and repeat and repeat. 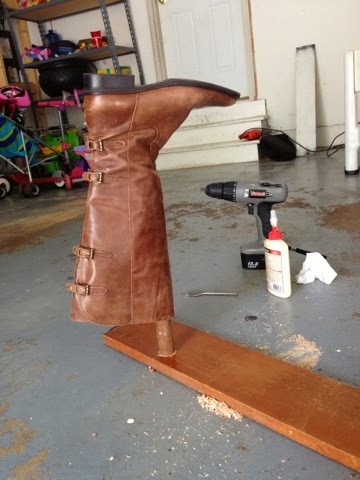 Then spray paint to make it extra pretty! And here she is in my closet..